Didgeridoo: A Great Throat Exercise For Sleep Apnea? In order to have a productive day at the office or in general, you need to get a proper sleep. This means sleeping for around 8 hours, consecutively, in a comfortable bed in a comfortable room. Achieving this balance of bliss can be near impossible for some people. There are several sleep disorders that can make getting those basic hours of sleep almost impossible. Whether you suffer from insomnia, snoring or sleep apnea you will undoubtedly face some hardships in achieving your desired sleep quota. 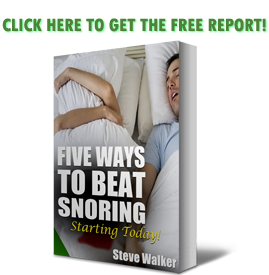 While there are various mouthpieces you can purchase to help curb your snoring and some medication you can take to ease your insomnia, it can be a bit difficult to combat sleep apnea without the use of a machine. People with sleep apnea are at war with their windpipes. But they might be able to get some help from a different kind of wind pipe'”namely, the Australian Aboriginal instrument called the didgeridoo. In sleep apnea, obstructed airways stop a person's breathing over and over at night. It's normal for the throat muscles to relax during sleep, but for sleep apnea sufferers this relaxation combines with other factors to make breathing impossible. Apnea leads to broken sleep, snoring, and exhaustion during the day. A device called a CPAP (continuous positive airway pressure) machine can treat sleep apnea, but it's pretty drastic, involving a mask hooked up to an air-blowing motor. Alex Suarez, a didgeridoo instructor in Switzerland, noticed that his own sleep apnea symptoms lessened after several months of practicing the instrument. Some of his students experienced the same thing. So Milo Puhan, a doctor and professor at the University of Zurich, and his colleagues set out to test the didgeridoo effect. In a series of lessons, the subjects learned proper lip technique and circular breathing (inhaling through the nose while continuously blowing on the instrument). They also had to practice at home for at least 20 minutes a day, five days a week. While it may seem strange that practicing an instrument can help curb your sleep apnea, you need to remember what the basics of the instrument are. In this case, you are strengthening your throat muscles to play the didgeridoo. Your throat muscles are the main culprits when it comes to obstruction while you are asleep. This is a great use of time, plus you get to learn a skill that you can show off at parties! On a serious note, addressing your sleep apnea will allow you to get that restful sleep you crave. Your body and mind both need rest and if the didgeridoo can help you get there, you should go for it.